The 2011 A3C Hip Hop Festival started off with a bang on Thursday, October 6th due to its interesting panels, shows, and especially its freestyle competition. 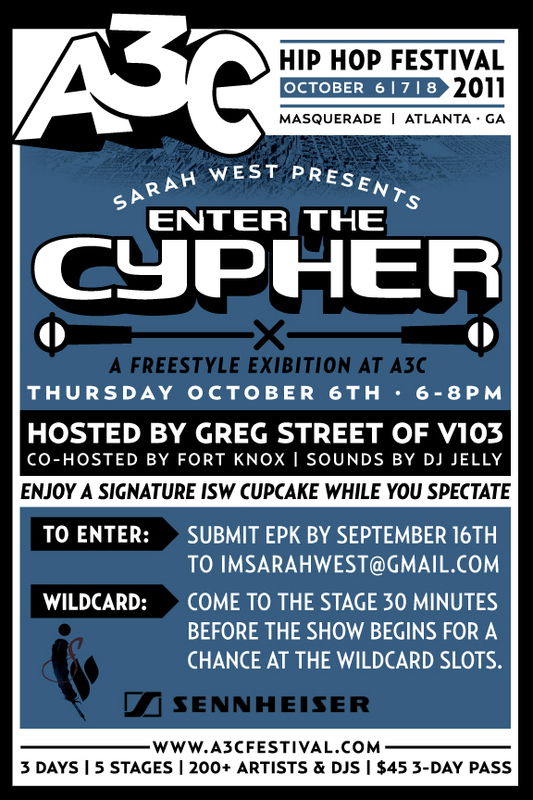 Sarah West Presents: Enter The Cypher consisted of 12 up and coming rappers who were all competing to win free audio equipment, studio time, social media management, and more! 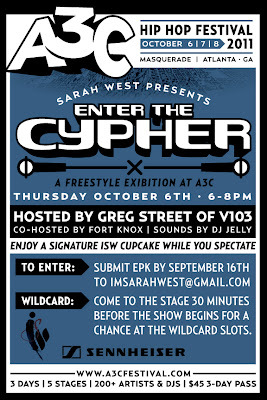 After a very competitive two rounds, the final round was left with Atlanta's own Sean G & J Young. Watch below to find out which of these last men standing took it home, and to watch a bonus performance from the winner and dope NY/NC raised rapper J.A.E.! Stream Torae's "For The Record" For FREE! New Music Video: Neako - Ghost! New Music: Trey Songz - Boop! New Music: Koncept - Hear, Hun?